Home Eye on Europe Weak Polity, Strong Policy? Populist leaders from countries in central and eastern Europe are gaining support ahead of the European Parliament elections in May. One explanation is that the countries they lead achieve better policy outcomes than one would expect, given the quality of their governance and institutions. The widespread assumption that good governance and high quality of democracy lead to better policy outcomes may hold true for many countries, but not for all. The 2018 report of the Bertelsmann Stiftung’s Sustainable Governance Indicators (SGI) found that “all eastern European countries (…) achieve better political results than their governance quality would suggest.” In other words, despite democratic backsliding and political polarization, even countries like Hungary, Poland, and Romania receive better scores for policy outcomes than might be typical for countries with institutional and governance problems. And the SGI report notifies another very important fact: Decreasing the quality of democracy does not immediately reduce citizens’ confidence in the government. The report concludes that “fundamental democratic values are not sufficiently anchored in the political consciousness of a considerable part of society.” A high level of trust in governments with poor rule-of-law scores is mainly observed in central and eastern European countries—and Turkey, which will be left aside here. But what are the root causes of this trust? It would be foolish to focus solely on governmental influence on media, state capture of the public sector, or disinformation campaigns—all of them have their impact, but the origins of this phenomenon have to be searched for in different places. While these countries are as different as their respective paths, there are a few common features. 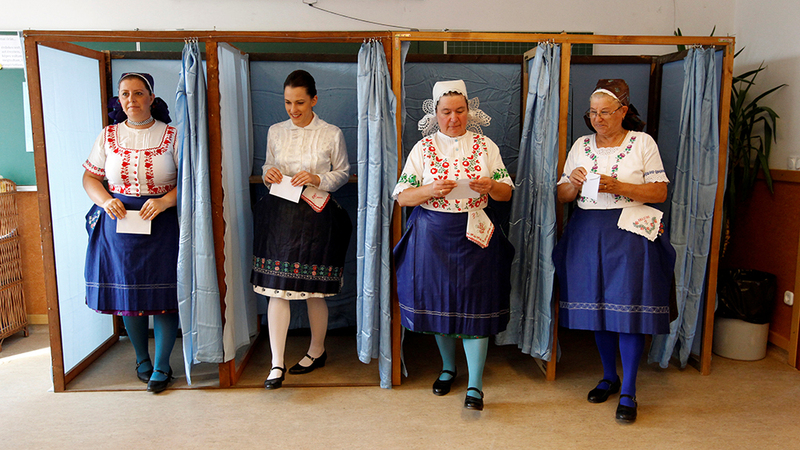 Firstly, Viktor Orbán in Hungary, Jarosław Kaczyński in Poland, and Andrej Babiš in the Czech Republic have all questioned the transformation process of the 1990s. They have characterized the import of economic liberalism and some political attitudes (but not the whole process of democratization) as a failure, one which primarily served the interests of new political and economic elites and therefore must be undone or corrected. Such political messages understandably attracted a significant number of voters who lost out during the economic transformation process. It’s not an accident that two of these national-conservative and right-wing populist parties, Fidesz in Hungary and Law and Justice (PiS) in Poland, have strong support in economically underdeveloped and peripheral areas. Secondly, some people still feel left behind despite the improvement of general economic performance since 1990. In particular, the social policies of the 1990s and 2000s were perceived as underdeveloped by the public, and the new governments partly succeeded in filling this gap. For example, a study by the Polish Public opinion research center CBOS shows how the activities of the state toward the family were assessed over time: from mid 1990s until 2013, only around 10 percent of the respondents rated the state’s policy toward families as good or very good. But since the PiS government came to power and introduced a program of subsidies for families with two or more children, the public rating of government’s family policies rocketed. In 2016 and 2017, around 50 percent assessed it as good or very good, 35 percent as sufficient, and only 10 percent as poor. However, in other social policy areas, especially education, PiS hasn’t been as successful. Poles criticized the government’s education reform for overly centralizing control—they perceive the quality of education to be worse than before. Thirdly, identity politics also plays an important role in maintaining support for the present governments. Political leaders have exploited the so-called refugee crisis in Europe to consolidate of their popularity. The depiction of refugees as a security threat became part of the political mainstream, and politicians like Slovakian Robert Fico, Orbán, or Babiš have spread the message that their firm attitude of “zero tolerance” would stop migration. Moreover, their political narrative also included islamophobia and bashing of the Western European countries for their policies of tolerance and solidarity. It has to be said that politicians and the vast majority of the public are on the same page in this regard. These leaders are aware of the great confidence they enjoy among citizens. They are also backed by good economic performance. Though nothing should be taken for granted in politics—the next general elections could change the current political course, at least in some countries like Poland and Slovakia—the growing self-confidence among the present central and eastern European leaders has implications for the EU. More generous social policies make people feel that they are being seen and recognized. Moreover, assertive foreign policies create a distinction between the new governments and the previous political elites, who generally followed the western European (development) model. Migration remains a key issue. The division between some central and eastern European countries on one side and EU institutions as well as some western European countries on the other side regarding compulsory relocation of asylum-seekers still resonates. Especially the Visegrád Group countries (Poland, Hungary, the Czech Republic, and Slovakia) see these liberal migration policies as a threat to their identities, for they believe that the “policies of multiculturalism” would ruin central European societies, value systems, and cultures—as has allegedly happened in western Europe. Enlargement fatigue—the feeling in some member states, including France and Germany, that the major round of accessions in 2004 has weakened the EU—has transformed into the present East-West divide. The East, for its part, is presenting itself as a confident player, with leaders who are not connected with the liberal transformation and meet the expectations of the public to speak up for their interests at EU level. The quarrel started with migration policies, but it is spilling over into a broader cultural conflict. Central European leaders win additional points for saying that this part of Europe is different (that is to say better) than western Europe, which must be no longer so diligently imitated. This East-West fragmentation (like the North-South divide on austerity) will play a significant role in the run-up to the European elections in May. And after that, it may be difficult to put the European puzzle together again. is Research Director of the Czech think tank Association for International Affairs (AMO).